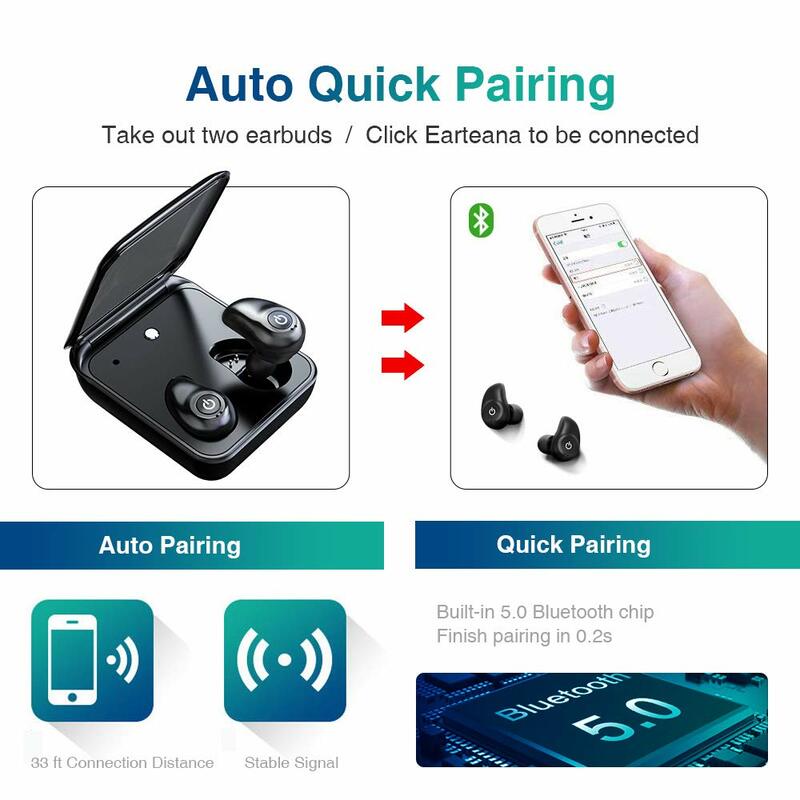 AUTO QUICK PAIRING: Take two earbuds from the charging case and click Earteana in your phone Bluetooth list to pair them. Then you can wear them to enjoy music. After the 1st time of pairing, earbuds will pair with your phone automatically once taken out from the case. 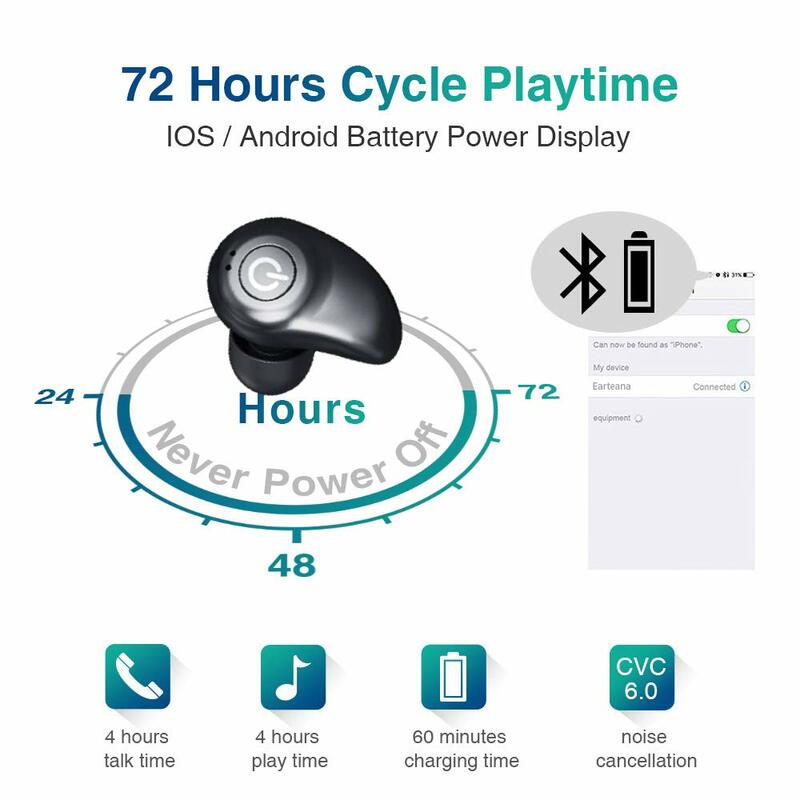 72 HOURS CYCLE PLAYTIME: The playtime of fully charged earbuds is about 4 hours. The built-in 2000 mAh battery the storage case can charge on-the-go for about 18 times which extends the music time to 72 hours in total. In addition, the case can work as a power bank to charge your cellphone with the included OTG adapter. 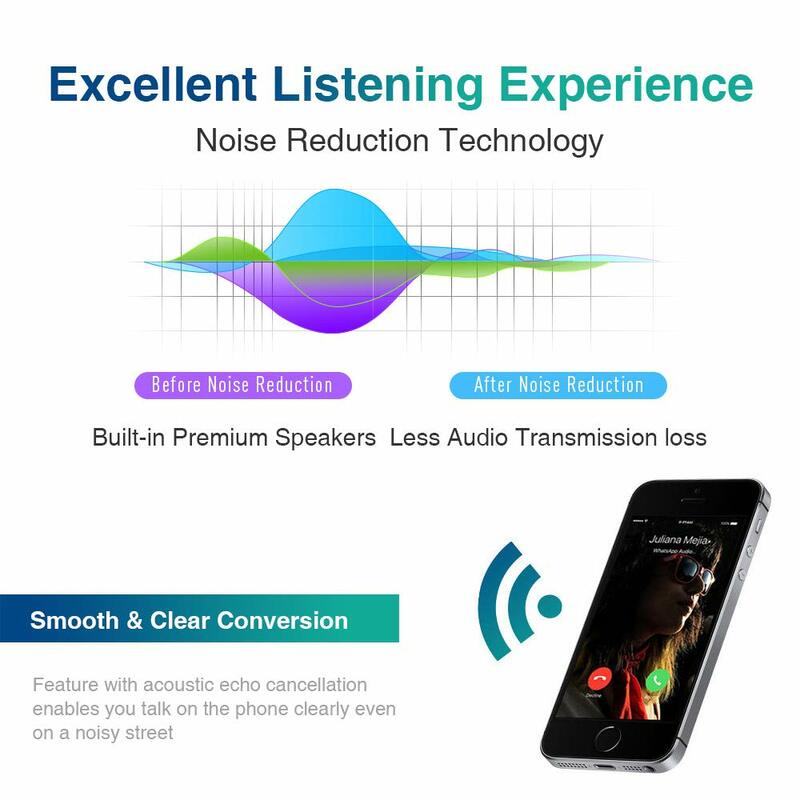 ADVANCED BLUETOOTH 5.0 & WIDE COMPATIBILITY: The Bluetooth 5.0 chip enables a more stable and quicker connection, less audio transmission loss as well as longer connection distance. The connection is still quite stable when earbuds are 33 feet away from your device. 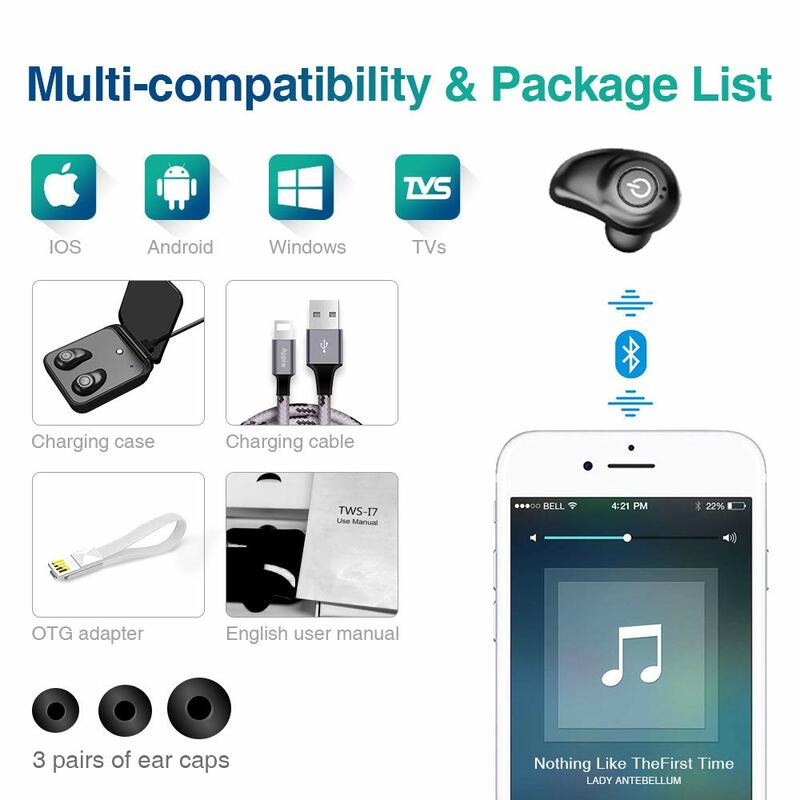 Earbuds support most Bluetooth capable devices like iPhone X, iPhone 8 Plus, iPhone 8, iPhone 7 Plus, iPhone 7, iPhone 6, Galaxy, Huawei, LG, laptops, TVs etc. ERGONOMIC DESIGN & SIRI ACTIVATING: Based on data of thousands of people’s ears, both earbuds are snug to wear with unique design and smooth surface. 3 pairs of ear caps in different sizes are included to help prevent earbuds from falling off. No matter small or big ears, choose correct ear caps and they will stay in your ears firmly. 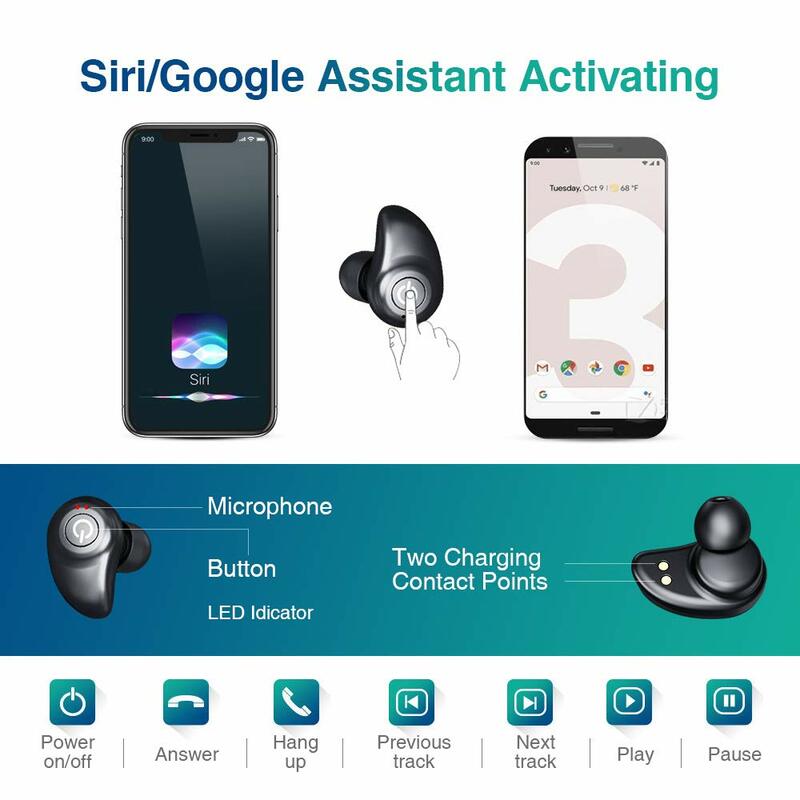 Press the button on either earbud for 2s and release when it beeps and Siri or Google assistant will be activated.Then just talk with your phone to operate it. 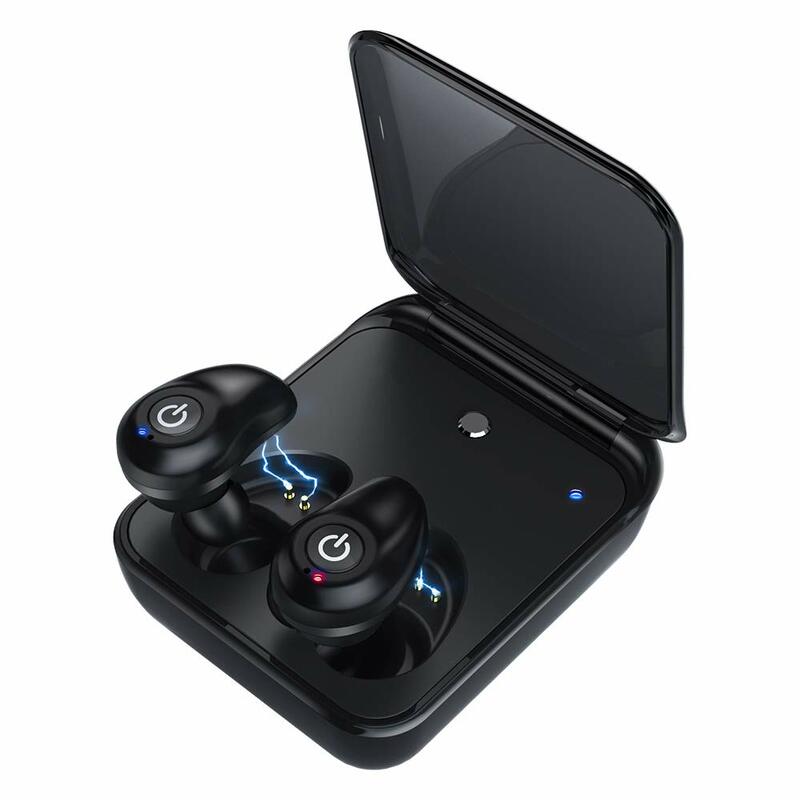 SUPERIOR STEREO SOUND QUALITY & WATERPROOF: The built-in premium speaker and noise reduction technology will provide an excellent listening experience. You can fully immerse in the music world, catch every music detail, and relax when wearing it even in a noisy place. With IPX5 waterproof level, earbuds can still work well when you wear them to exercise or walk in rain. How to Get Two Earbuds Paired with Each Other again? 1.Take two earbuds out and please do not turn on your phone’s Bluetooth function until the prompt reminds “power on, pairing mode, connected”. That means two earbuds are paired with each other successfully. 2. 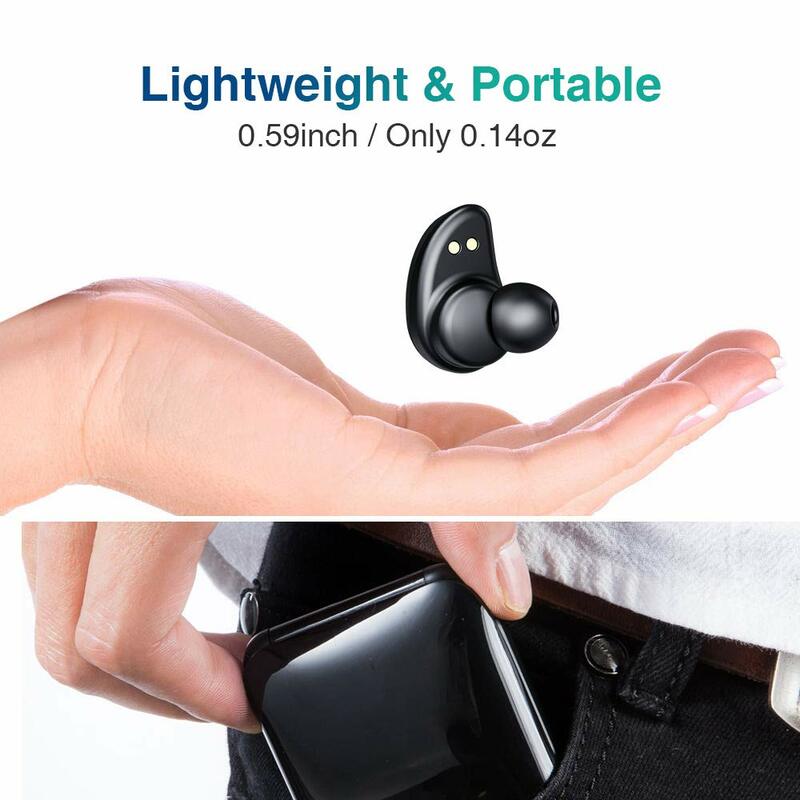 Turn on the Bluetooth function of your phone and earbuds will be paired automatically. 1.Long press the power button of either earphone for about 6s until the light flashes in red, and two earphones will power off together. 2.Press and hold buttons on two earbuds simultaneously for 10-12s. The indicator will flash in red firstly, then flash in red and blue alternatively, and lastly, flash in red. Then please release two buttons. 3.Put two earphones into charging case at the same time and get them charged for a while. 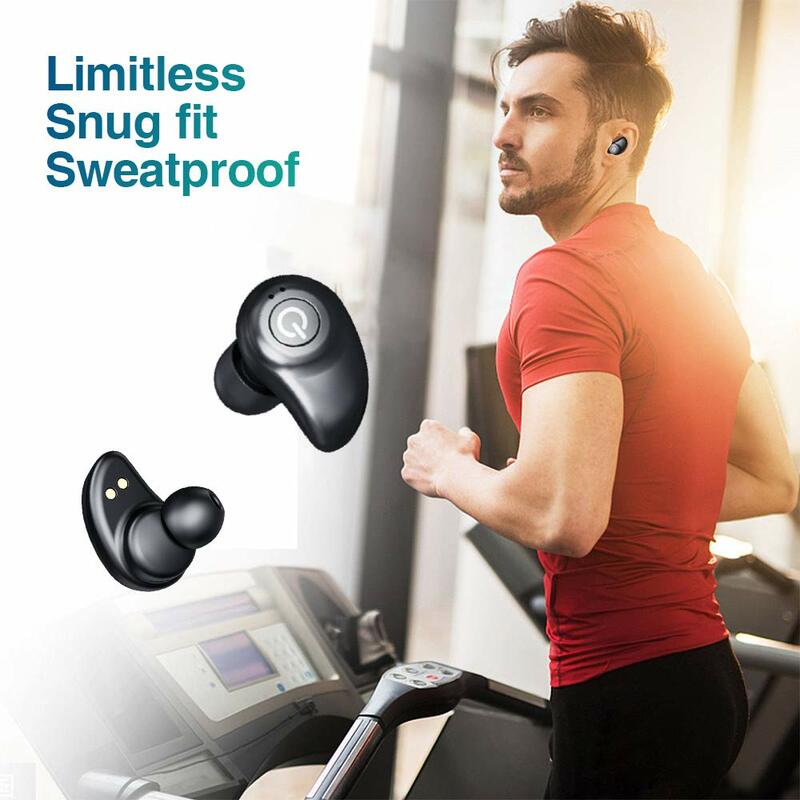 4.Take out both earbuds at the same time and wear them, and you could hear the voice "power on, pairing, Bluetooth connected". Then resetting is finished. 5.Clear the Bluetooth device list in your phone. 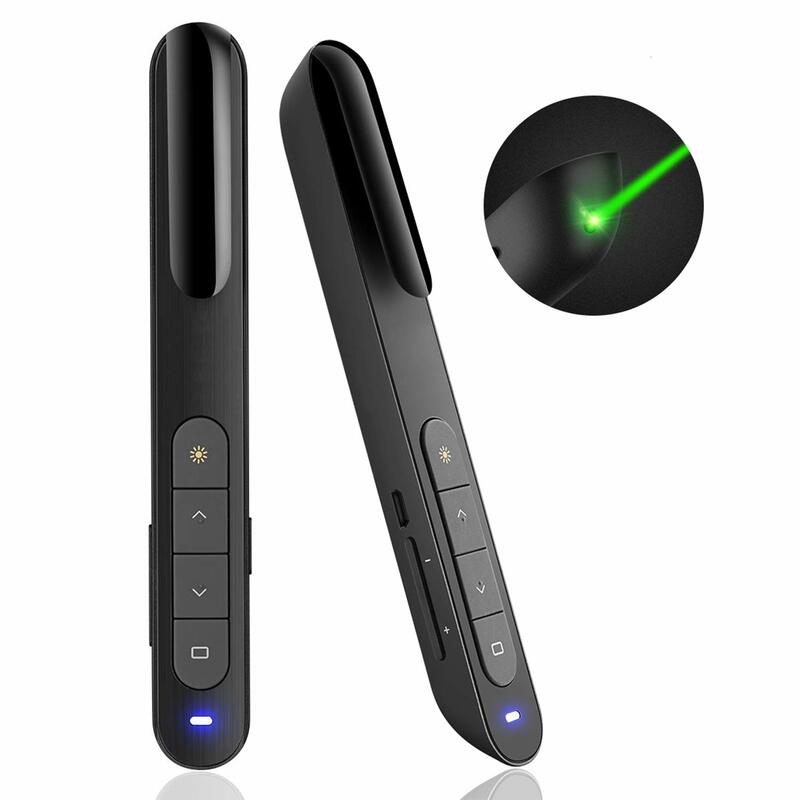 Find and click Earteana to connect two earbuds with your phone. We provide 3 Months Money Back & 12 Months Replacement Guarantee. If you need any assistant, please do not hesitate to message us and we will respond in 24 hours. AudioSky aims to provide all customers best wearing, listening and purchasing experiences. 3 Pairs of Ear Caps. Transmission Distance: About 33 feet. Earbuds Charging Time: 1 hour. Storage Case Charging Time: 3-4 hours. 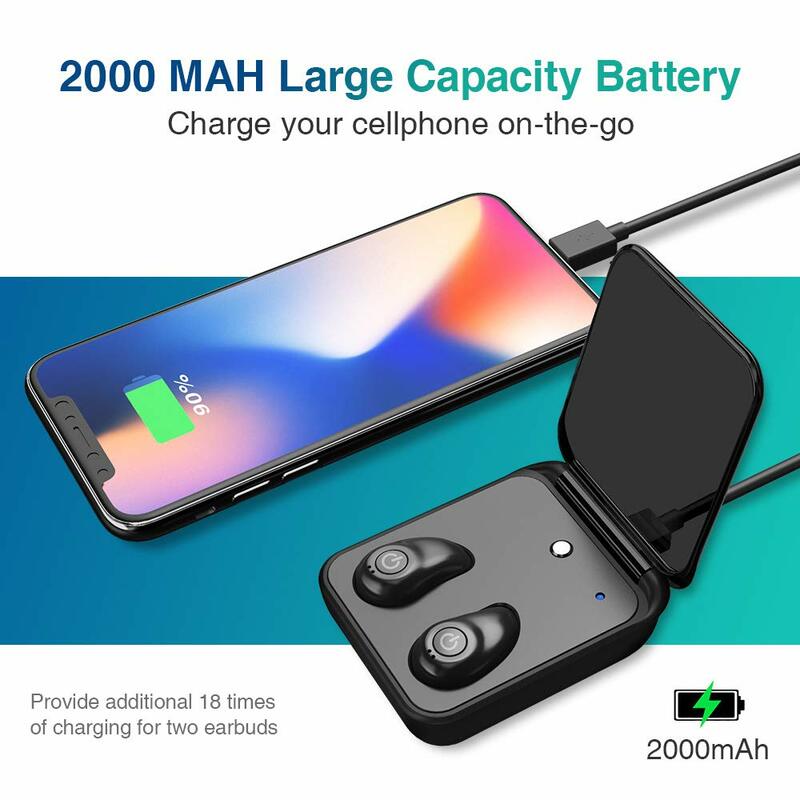 Storage Case Battery Capacity: 2000 mAh. Frequency Range: 2402 ~ 2480 MHz.